Garmin Synthetic Vision Technology takes situational awareness to a new level, regardless of what you can or cannot see through the windshield. Acquiring information from multiple certified databases, synthetic vision graphically depicts obstacles, terrain, water, and airports, providing you with all of the information you require for safer travel. 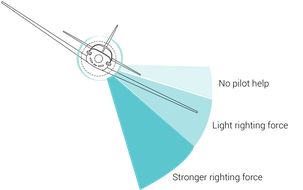 as part of the USP system, coupled go-arounds are possible without disengaging the autopilot. 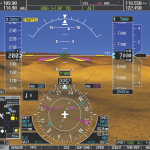 With this feature, the autopilot remains engaged and will fly the missed approach. If power is not added, the USP system will maintain a speed just above stall warning, adjusting airplane pitch attitude as required. 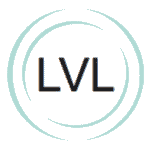 button, Level Mode is activated and cancels all armed and active modes, without impeding other autopilot modes available. This ingenious additional safety measure provides further reassurance for pilot and passengers in the circumstantial case it would be required. outside the desired flight envelope. ESP functions independently of the autopilot system, and only takes effect when the pilot is hand-flying the aircraft with the autopilot disengaged. It works as a soft barrier to keep the Piper M600 inside the preferred performance envelope by automatically engaging servos to slightly correct control surface positions when the aircraft exceeds one or more flight parameters, essentially encouraging it back inside optimal flight specifications. 40 nm interrogation range. Additionally, spoken ATC-like aural alerts help manage your safe flight. an intuitive flight director function that reacts to underspeed conditions in a way that allows the autopilot to remain engaged, but prevents the airplane from stalling.